Went up the hill to watch the local Rotary Club firework display – a big, booming, rockets-and-stars affair, to a We Will Rock You soundtrack distorted through not-powerful enough speakers. 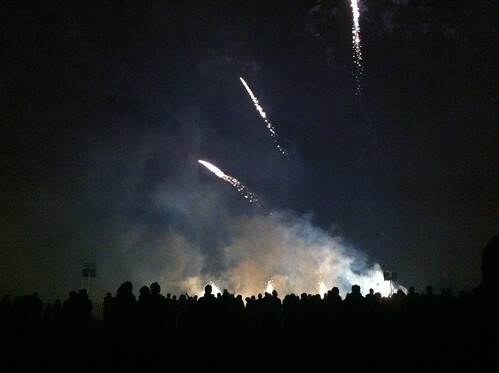 However cheesy, it’s hard not to love the magic of fireworks, and something about the ritual – wrapped warm in winter coat and scarf, nose slightly chilly, the smell of smoke and sulphur hanging in the air – brings with it a kind of nostalgia. stars surrendered. We search for a sign.